I had often wondered if Jim and Edith Young had any connection with Florida, given that they were backed by the Miami Valley Gang on their early JAY releases. Of course just because the name of the backing group suggests a connection with the Sunshine state, it doesn’t necessary mean the outfit were from Florida, after all how many bands used a more evocative name to give themselves an air of Western authenticity? 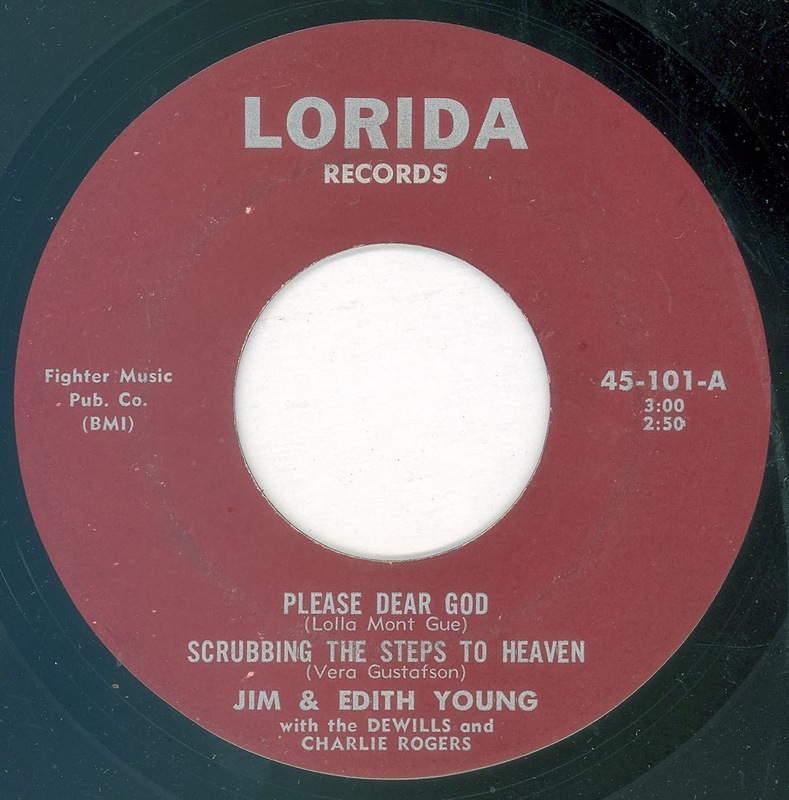 It was a surprise therefore to discover that Jim and Edith Young did actually record for LORIDA, a Florida based label. As much as I like Jim and Edith Young, their Gospel material does tend to pall in comparison to their secular sides and their efforts at the genre on this EP are no exception. 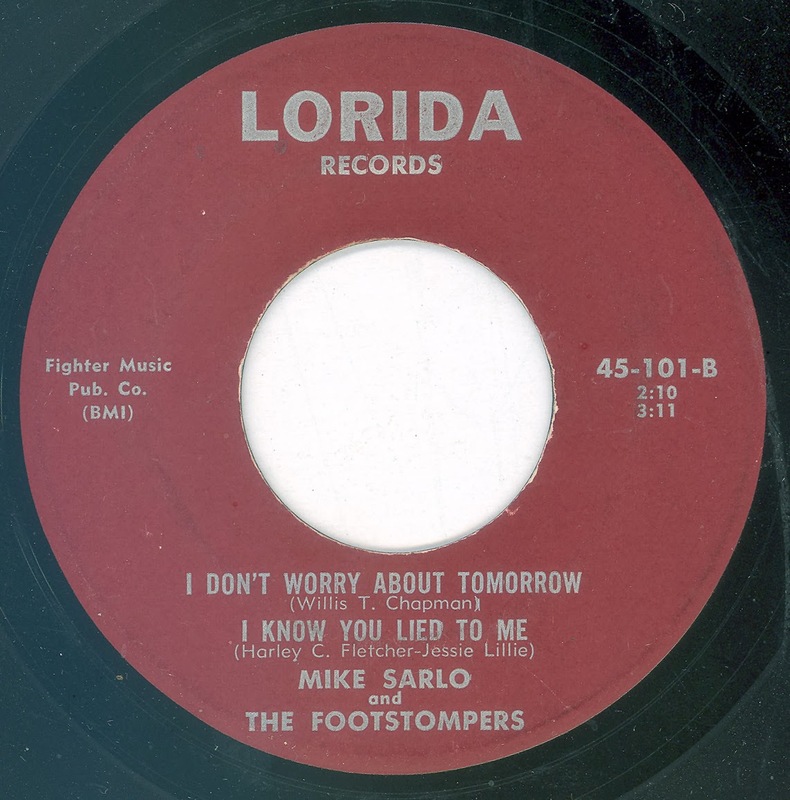 To me the stand out recording on this EP is Mike Sarlo's secular offering "I Know You Lied To Me". I have a track credited to Jim & Edith on the Jay label No. # titled "That's All Right With Me'. It came out on the Cees Klops compilation CLCD 4530 track 14. Google finds nothing on this record but would like to know the B-Side title if anyone knows it.